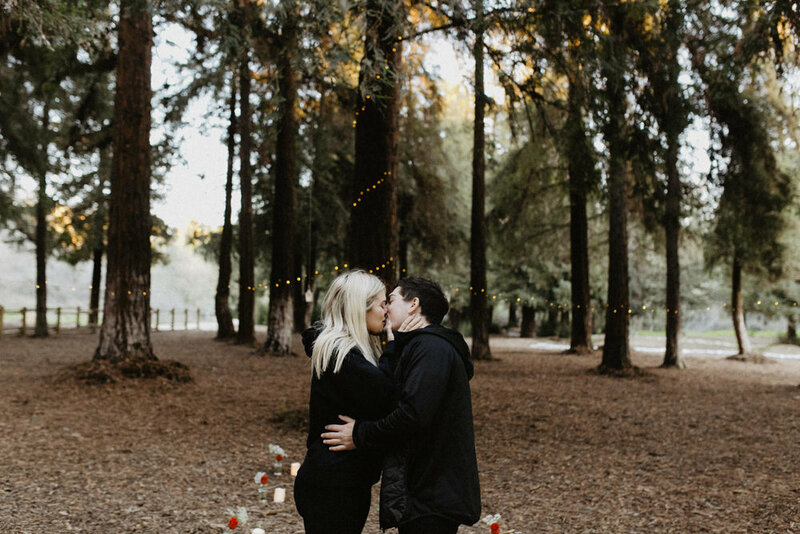 bryce + cass are engaged // carbon canyon proposal photography los angeles — likemorningsun photography // wedding & portrait photography for adventurous souls. 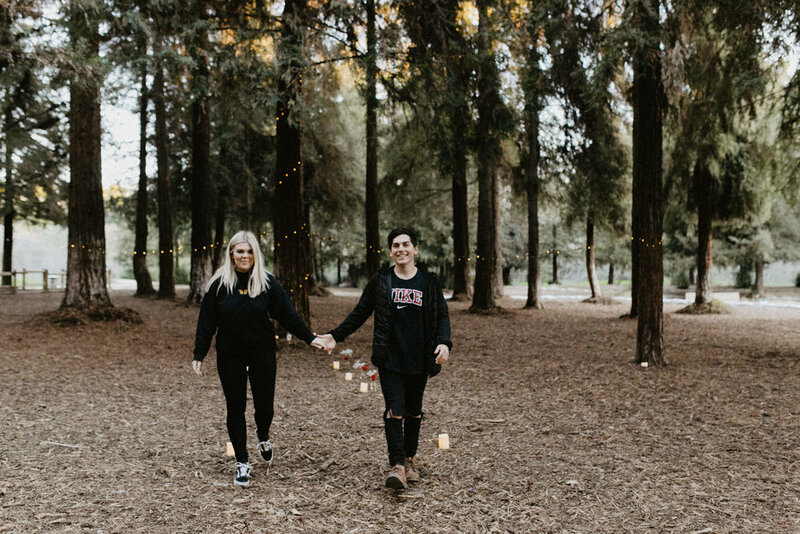 a few weeks ago i received an email from bryce, letting me know that him and his girlfriend were going to be visiting from australia, and that he wanted to propose while they were in california. he asked if i could help him capture the moment that he proposed, and of course i said yes! 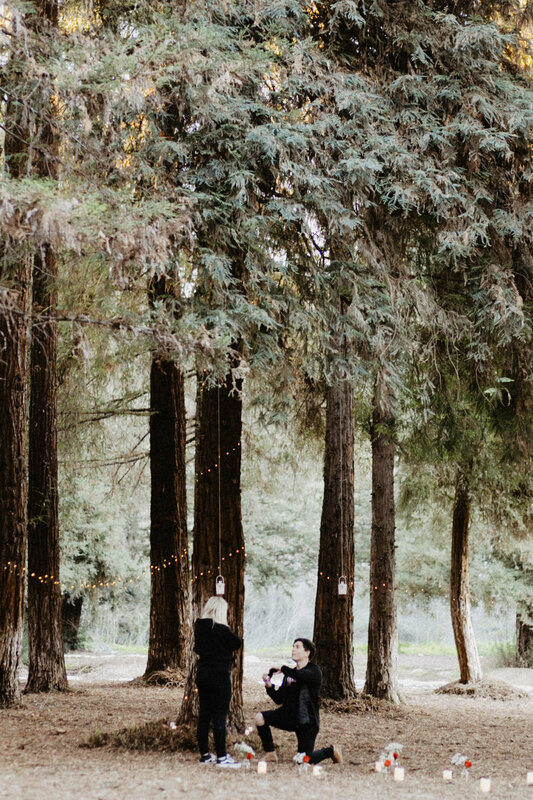 he decided to propose in a little patch of redwood trees in orange county, at carbon canyon regional park. 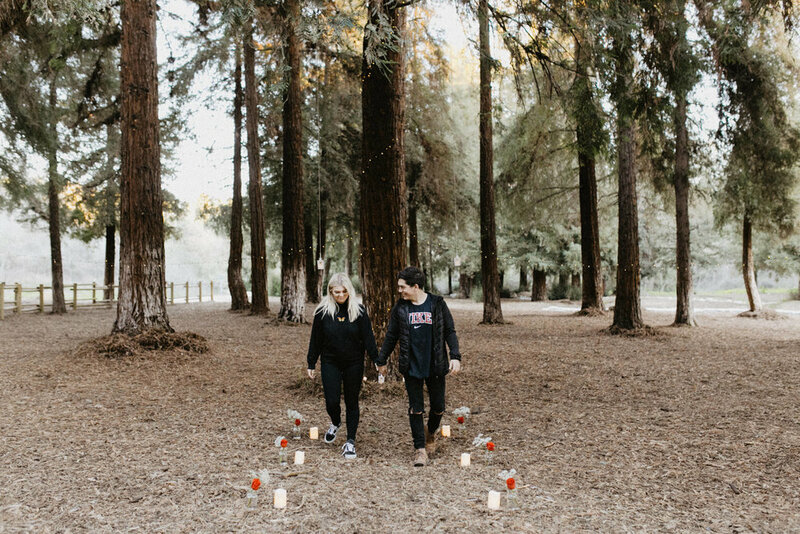 bryce came by earlier in the day and set up a little trail of candles and strung lights in the redwoods, the perfect scene for a proposal. i got there early and hung out behind some trees waiting for them to arrive. 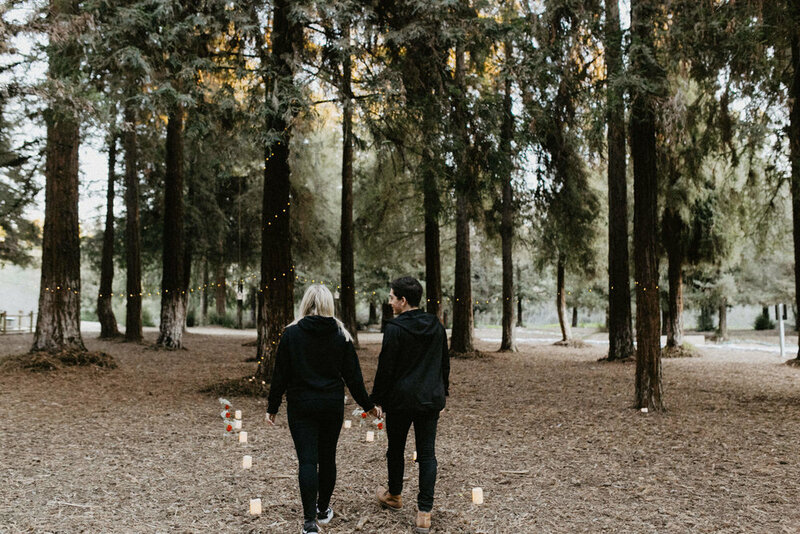 as soon as i saw them coming down the path i knew it was going to be a special moment. once cass realized what was happening, she was so excited and overcome with emotion. i stayed a bit longer and took some portraits of them as they celebrated their engagement. it was such a special moment to be a part of, and it was so sweet to see the love they had for each other.